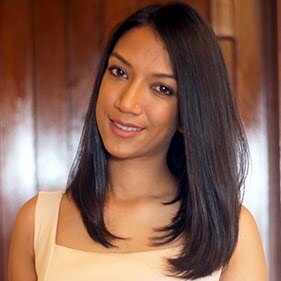 Oh Readers, you have been reading my Eggless recipes for a while now! And today is no exception! You will not believe how behind I am with recipe posts! Seriously, for one I was fasting and cooking many many eggless dishes, and I have so many recipes written here and there and for two, my dissertation is kicking me hard!! But I am trying to write, various different recipes as often as I can! Food Blogging has brought me to a whole new level next to food and kitchenwares! Whenever I see food, I almost immediately picture a plated-cooked version of it in my head! Same goes for the kitchenwares, I get clear visions of what I want in them or where I want them! Like I know exactly what I want from them! And today's recipe is one of those recipes inspired from looking at the ingredients! I had half a huge Zucchini at home, and it was there in the refrigerator, looking desperate to be consumed like the other half! To add to that, some bananas, a few more days and they'ld have made way to the bin! A Lightly Spiced, Vegan and Healthy Zucchini Banana Bread that will amaze your Tastebuds! 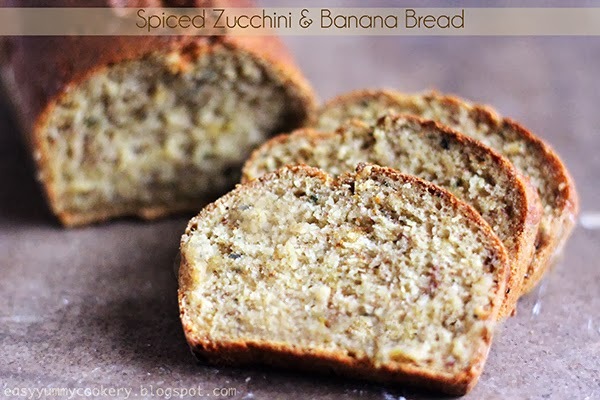 As I am a big fan of banana bread, I wanted to combine the zucchini and banana into a bread! The thing, though, was that I was fasting! So it had to be an eggless bread! Having now mastered what needs and needs not be added for a great eggless/vegan bake, I did just that, and the result was amazing, but a little sweet, read on why!! All-in-all, it is a yummy, lightly spiced go-to bread whether you are fasting or not! And if you are wanting healthy, just substitute all-purpose flour for whole wheat, you'll be good!! Preheat oven to 175˚C. Grease and flour baking pan, and set aside. Combine all the dry ingredients together but keep out the sugar - flour, nutmeg, cinnamon, baking soda, baking powder and salt. Combine the applesauce, grated zucchini, mashed bananas, sugar and vanilla extract together. Toss the wet mixture into the combined dry ingredients. Mix very well. Now throw in any raisins and walnuts! Pour mixture in pan and let bake for 50-60 minutes or until a skewer inserted in the middle comes out clean! 1. Applesauce provides for moist breads. You can buy from stores or substitute it for oil or you can make your own applesauce, using 2 medium-small peeled apples cut into chunks, 1/4 tsp of cinnamon, 1/2 cup of water and 2 tbsp of sugar. Let cook for 15-20 minutes. And purée using a fork. 2. I used homemade applesauce which made my bread a little bit sweet, so if you're using applesauce too, use 1/3 cup of sugar, or adjust and if you are using oil use 1/2 cup of sugar. 3. 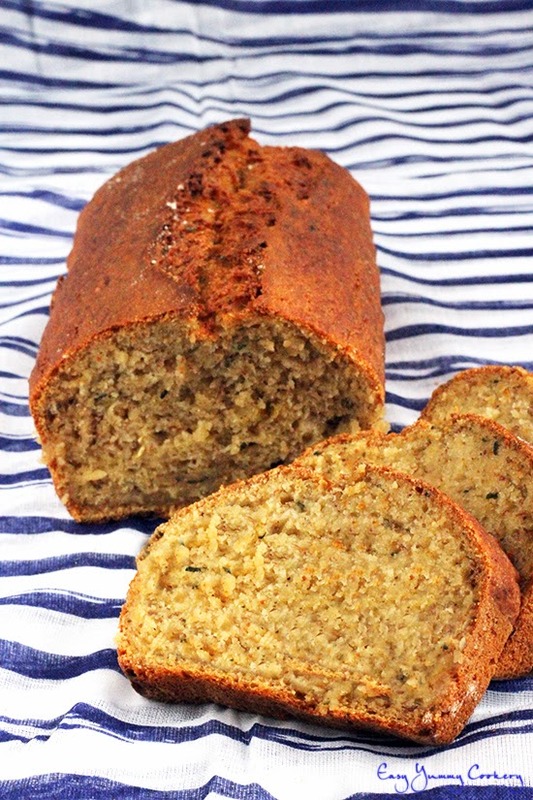 For a Healthier version of this Vegan Zucchini Banana Bread use wholewheat flour! 4. If you don't even want the bread to be lightly spiced, reduce the cinnamon and nutmeg by half! Oh Wow! what a lovely colour. Feel like taking it off screen. A combinação de banana, maça e canela é sempre ótima e a aparência do pãozinho é de dar água na boca!!! Can I use almond flour instead of the all purpose flour? I have made this 3 times since I found it in the span of 2 months. My husband and I love it and it has almost become a staple in our house! Has anyone tried using coconut flour or almond flour in this recipe? Looks really good!